Join us for our Fall Plant Sale! We will be offering native flowers, shrubs, and trees – perfect for attracting butterflies, bees, and other pollinators to your yard or garden. Proceeds benefit the Arboretum’s conservation and education efforts. 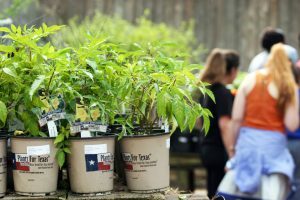 Members receive discounts on all plant sale purchases. Become a Member – members receive discounts on all plant sale purchases. Already a member? Stop by Member Check-in before you head to check out!